Targus is back with a bang this new year by unveiling a new range of laptop chargers that were specially designed to be versatile as well as eco-friendly. When coupled with the Tips from Targus program, these chargers are able to be upgraded so that they can play nice with a range of other mobile devices within the household, as well as future laptops that you bring back at no additional charge (although shipping and handling fees do apply). 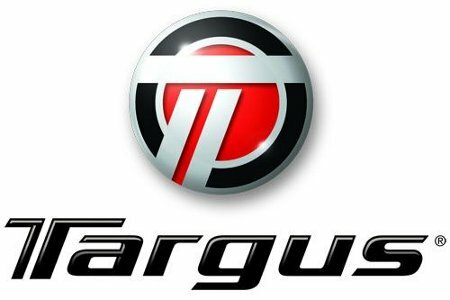 Apart from that, Targus looks into the future with a next generation technology design that will dramatically reduce its size while providing a flexible, modular platform for a range of usage modes and charging needs. One strong point with their range would be doing away with the AC cord that further reduces bulk when traveling, while keeping the power adapter to be out of the way whenever you are using your machine at home or at the office. Requiring just 40% of the original materials to build and package current adapters, it also fits the eco friendly category quite nicely as well. Targus is touting the fact that one device replaces a half doze, making them the lightest, most efficient and most compact device of their kind on the market. Without further ado, they are the Targus Premium Laptop Charger (AC/DC), the Targus Compact Laptop Charger, the Targus Netbook Charger and the Targus Mobile Laptop Charger. The Targus Premium Laptop Charger (AC/DC) is half the size and weight of typical AC/DC charger, while offering nine laptop tips to help you get started right out of the box. Apart from that, you get one mini-USB tip and one iPhone/iPod/iTouch tip. A separate DC charger is also thrown into the mix, where you can hook it up straight to a cigarette lighter while juicing a couple of devices simultaneously. You can pick this up for $149.99 a pop. As for the Targus Compact Laptop Charger (AC), it is suitable for majority of laptops out there as well as low-power devices, with the APA6911US playing nice with most HP, Compaq, Acer, Asus, Gateway and Fujitsu laptops. As for the APA6922US, this one caters more to Dell, Toshiba, Sony, Lenovo, IBM and Panasonic laptops. Both models will include a mini-USB charger that caters for low-power devices including your BlackBerry or Apple products. Expect these Compact Laptop Chargers to retail for $89.99. The Targus Netbook Charger (AC) on the other hand is touted to be the “most versatile netbook charger on the market today”, where you can bring this $89.99 puppy home if you happen to own a netbook from the following leading manufacturers – Acer, Asus, Compaq, Dell, HP, IBM, Lenovo, MSI and Samsung. Last but not least, the Targus Mobile Laptop Charger (DC) targets those who are always on the go, being the lightest and most compact DC charger available at point of publishing. You can use this as an additional charger whenever you’re on the move, as it comes with eight laptop tips and one mini-USB tip. It is going for $79.99. Each purchase will come with a 2-year limited warranty for added peace of mind. Guess regardless of what kind of user you are, there seems to be a laptop charger for everyone from Targus.